As promised in our initial “in the lab” report, this is our final review of the Bryce version of Keen waterproof shoes. These were replacements for a pair of Ecco GTX waterproof shoes that we loved. Overall: We loved the shoes. They performed very well. As with most things Keen sells, it’s built to last and built to high standards. Styling: Of course, styling is personal choice. Some people don’t like the styling of Keen footwear, but we don’t mind it at all. The large toe shield up front has come in handy more than once at protecting our feet. Colors vary widely, but whether you’re looking for men’s or women’s, you should be able to find something to your liking. Comfort: The shoes took about 4 to 5 wearings to break in. They were very comfortable on short walks or long. For an extreme test we pounded the pavement with them walking all over New York City one weekend in the snow, rain and muck. Our feet felt just as good when we left as when we started each day. Waterproofing: Yep, Keen waterproof shoes are waterproof as advertised. In addition to the above test around NYC we mentioned, we also wore them during a week long ski trip to Zermatt. Through the snowy streets and drifts, not a stitch of moisture. Anywhere. And, they breathe well, too. Our feet never felt hot, nor did the sweat build up on our feet or socks. The Keen’s came through with flying colors. Performance: The grip of the shoes were very good. On cold water pavement, asphalt or even on soil, the grip of the soles were good. They were average on icy surfaces, but there aren’t many shoes except for maybe Icebugs that are good on ice anyway. One amazing thing we found with this shoe, was how they repelled just about any dirt and grime they came in contact with. Water and dirt just seem to slide right off. You would have never have known that after two days walking the dirty, snowy streets of New York that they’d look like they just came out of the box. And even after wearing them almost daily for the next month after in all kinds of weather here in Colorado, they still look like new. 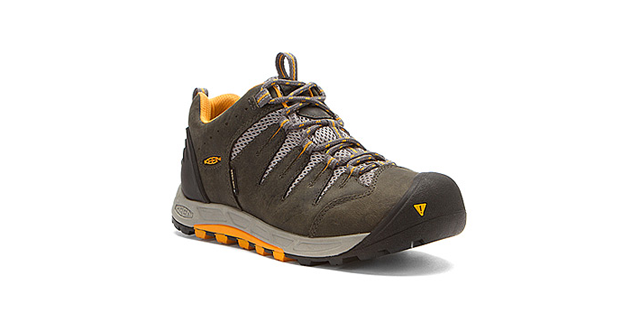 Where to buy: Keen, of course or any of their retailers. Amazon as well, or you can also check eBay. We purchased ours directly from Keen. And, if you’re in Portland, Oregon, stop by the Keen Garage. It’s a great place to see all Keen gear under one roof.